Both services require submitting a saliva sample using our saliva collection kit that you send to our lab for analysis. You should choose the service option that’s right for you. The Health + Ancestry Service includes all of the reports and features offered in the Ancestry Service (outlined below) plus reports on carrier status*, health predispositions*, wellness and traits. Customers who purchase the Ancestry Service will have the option to add health and trait reports later for an additional fee. Both service options include features to explore how your DNA connects you to other people. For example, if you choose to participate in the DNA Relatives feature, we can compare your DNA to other 23andMe customers, find your genetic matches, and estimate how closely you are related. Ancestry reports (Ancestry Composition, Haplogroups, Your DNA Family, and Neanderthal). Learn more. DNA Relatives feature. Learn more. Carrier Status* reports. Learn more. Health Predisposition reports. Learn more. Raw, uninterpreted genetic data file** (Must not be used for medical or diagnostic purposes). Learn more. Add Carrier Status*, Health Predisposition*, Wellness and Traits reports later for an additional fee. 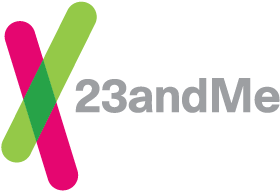 *The 23andMe PGS test includes health predisposition and carrier status reports. Health predisposition reports include both reports that meet US FDA requirements for genetic health risks and the 23andMe Type 2 Diabetes health predisposition report which is based on 23andMe research and has not been reviewed by the FDA. The test uses qualitative genotyping to detect select clinically relevant variants in the genomic DNA of adults from saliva for the purpose of reporting and interpreting genetic health risks and reporting carrier status. It is not intended to diagnose any disease. Your ethnicity may affect the relevance of each report and how your genetic health risk results are interpreted. Each genetic health risk report describes if a person has variants associated with a higher risk of developing a disease, but does not describe a person’s overall risk of developing the disease. The test is not intended to tell you anything about your current state of health, or to be used to make medical decisions, including whether or not you should take a medication, how much of a medication you should take, or determine any treatment. Our carrier status reports can be used to determine carrier status, but cannot determine if you have two copies of any genetic variant. These carrier reports are not intended to tell you anything about your risk for developing a disease in the future, the health of your fetus, or your newborn child's risk of developing a particular disease later in life. For certain conditions, we provide a single report that includes information on both carrier status and genetic health risk. For important information and limitations regarding each genetic health risk and carrier status report, visit 23andme.com/test-info/.